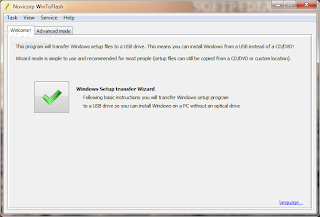 .WinToFlash accomplishes an amazing task: it extracts the contents of a Windows installation and transfers it on a bootable USB drive. It can be safely stated that this prolongs the life of your Windows package, seeing as compact discs are highly sensitive, whereas USB flash drives offer you more flexibility. Traditionally, the original editions of Windows come on a CD and utmost care is required when handling the disc. Even the tiniest scratch could affect the integrity of the content and prevent you from running a successful installation. For this reason, it is recommended that you have a backup of the package, preferably on a device that’s more reliable and less sensitive. The read-only attribute can be removed from the files and you can also choose to collect system information, create a structure for folders, copy files, or check the USB drive for errors. Events can be viewed in the Service tab and multiple language packs are available. The creation of the bootable USB drive takes a decent amount of time and the result is truly satisfying. 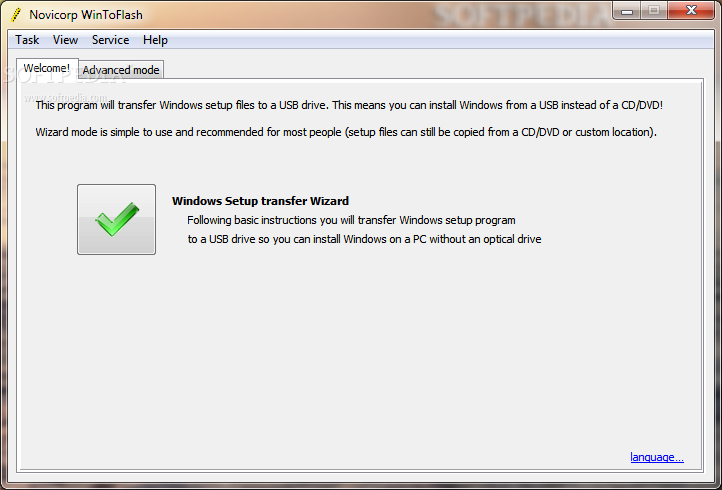 All in all, WinToFlash seems to be a breakthrough on a market where Windows installations are mostly performed from a CD/DVD drive. It minimizes the chances of losing important data, making Windows editions last a life time. 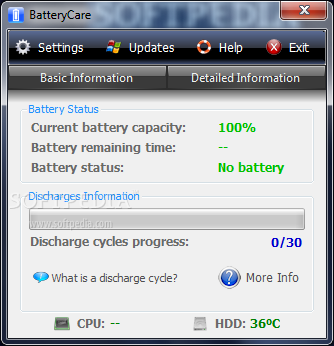 The main window of BatteryCare displays several details of your laptop's battery (current capacity, remaining time, status), or more detailed information (model, designed capacity, total capacity, current capacity, wear level, and others). All in all, BatteryCare acts as a companion for you laptop battery. It performs real-time monitoring of its status and health, thus adding to its life. 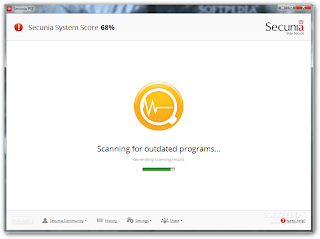 Secunia PSI is designed to scan and identify outdated applications on the system and deliver the newest version that contains security updates. It does so by automatically pushing silent updates to your computer, straight from the company’s servers. The entire delivery process is conducted via an encrypted connection to prevent eavesdropping on the data exchange. 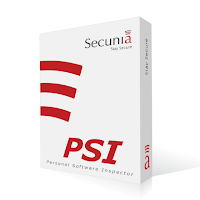 Installing Secunia PSI is an easy process that offers localization in five languages (English, Danish, German, Spanish and French). The newest version of the application has been designed to minimize user interaction as much as possible. Consequently, the moment Secunia PSI is started, it begins scanning the system in search of outdated insecure programs. Ulterior verifications occur upon launching the app. Once this operation completes, updates are pushed to you by default. However, you can configure the program not to carry out with automatic installation of the updates. All security patches for supported software are packaged by Secunia and can thus be delivered automatically, regardless if the third-party developer offers automatic security updates or not. Nonetheless, in some cases, the application is unable to carry out the update job automatically and user intervention is required. Such is the case with updates for Microsoft components, which are streamed in via Windows’ service. Other programs also need user assistance in order to become up-to-date, as the developer may require some steps that cannot be completed automatically, such as accessing a webpage or going through the installation routine. Bringing supported programs to their least vulnerable version is accomplished by comparing the metadata available in its files (mostly EXE, DLL, and OCX) with the information on Secunia servers. These items contain non-specific details, which are the same for all users. If the data oes not match, then the security patching procedure begins. On the same note, all data retrieved from your computer is treated as confidential and is automatically deleted from their servers one year after you stop using Personal Software Inspector. 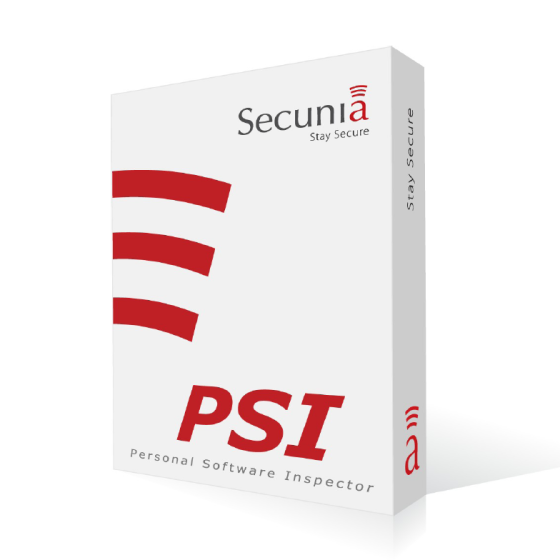 Secunia PSI 3.0 brings along a very much simplified interface that is suitable for both non-technical users and more seasoned ones. Beginners should have no trouble with the application because in most cases it works in the background. However, it is versatile enough to provide details about the version of the programs installed on the system, and displays information about installed updates and the scans carried out. Also, the main screen shows all the programs that need user interaction to be patched and those that are already up-to-date, clearly marked through color-coded icons: red for outdated software and green for the entries that have been patched. 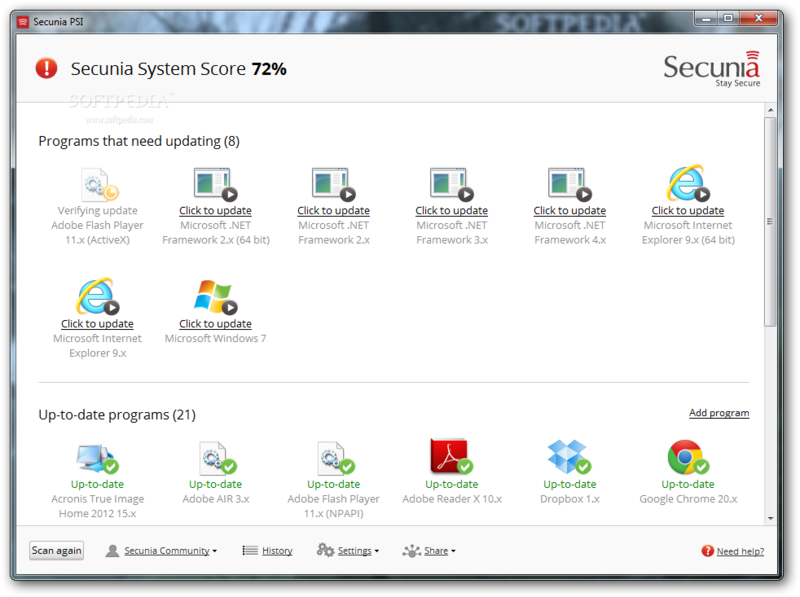 A “system score” is refreshed after each scan in order to reflect the current state of the computer and to indicate that there are programs that need your attention to be updated, if it is less than 100%. 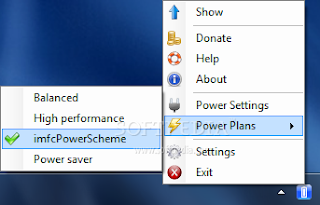 This is a simple application with a simple configuration panel, consisting of a small set of options such as starting it on computer boot, enabling automatic installation of updates and choosing the drives you want to be scanned for outdated apps. The system partition and the one containing the “Program Files” folder are selected by default. Furthermore, you can select the entries that you do not want to be checked. This comes in handy especially with listings that are no longer maintained by the developer and reached end of life (EOL). Secunia PSI does not take too long to finish its verification, but the durations are influenced by the amount of data it is dealing with at any given time. As such, selecting drives with lots of files will increase scan duration. 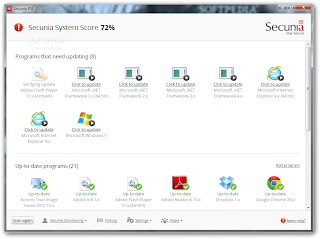 At the moment, Secunia PSI can deliver security updates for more than 3,000 software pieces, which places it at the top of the list of security scanners. It is not designed to replace security solutions like anti-viruses or firewalls, but to complement them as an additional layer of protection against attacks that could be conducted by exploiting software vulnerabilities. The simplicity of the application is impressive. It offers patches for more than 3,000 programs, and its most powerful feature is silent patching, which absolves the user of the task of manually updating installed software. You can view version details about each detected program, and choose the drives you want to be checked for outdated programs. 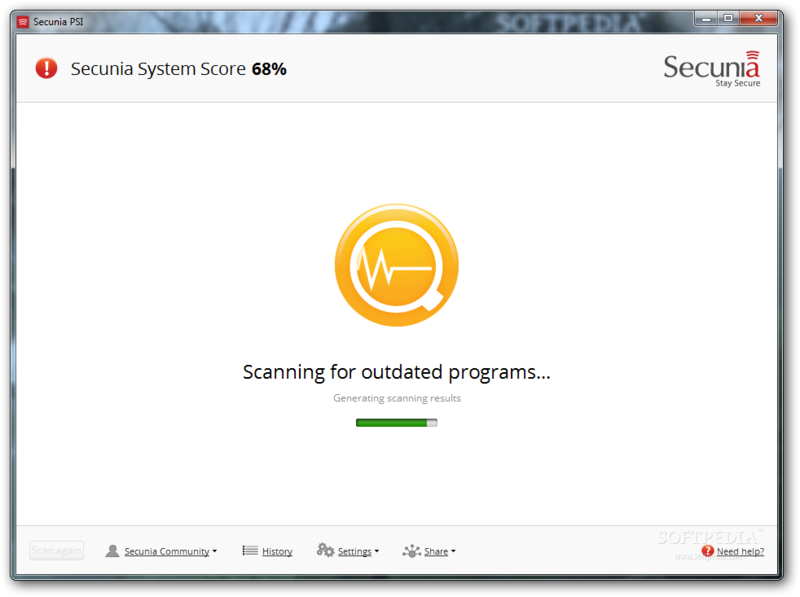 The silent update process does not happen for all programs and some of them need to be installed manually, but this is beyond Secunia’s control. Some uses may be disappointed by the supported software, although the database is pretty large. Secunia PSI is conceived to work in conjunction with a full-fledged security solution, as it ensures protection against exploitable vulnerabilities in software available on the system. The method proposed for patching the security holes is non-intrusive and secure.